Friends, we invite you to stop by Coastal Bend Health Foods today for wonderful ripe red tomatoes, freshly picked from our garden. We also offer eggplant, butternut and scaloppini squash, hot peppers, okra, mint, oregano, and basil. You may find our pastured chicken in the frozen section, as well as our pork chops, ribs, pork roast, ground pork, and fresh bacon. We collect our farm fresh eggs daily and deliver them to Kimmi’s store with our produce and herbs. 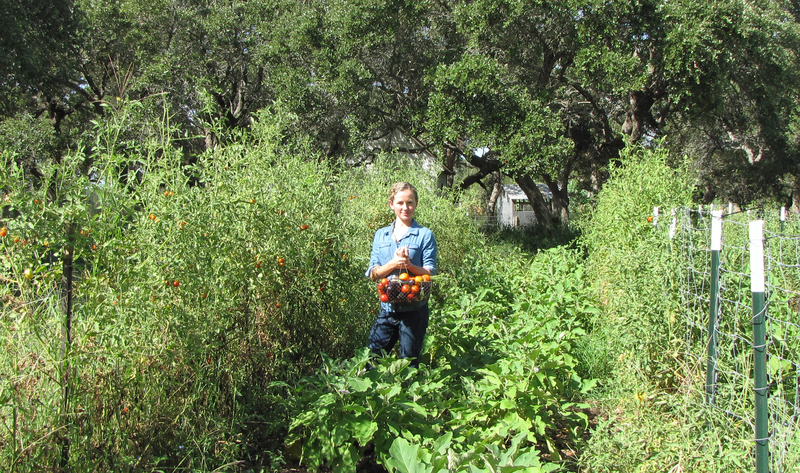 It is nearly impossible to grow tomatoes in Rockport in the blistering heat of late July and August. Tomatoes typically do not set fruit when the nighttime soil temperature rises above 70 degrees. 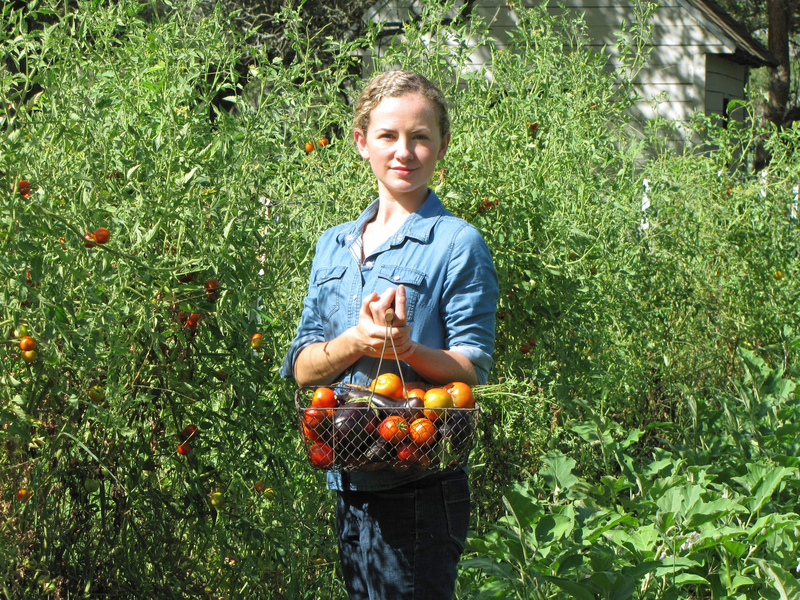 The noontime sun can rot tomatoes on the vine in a single day, and burn the vines to dust. In our Spring gardening talks, we discussed some of the techniques we use to grow prolific tomatoes through the worst of our summer heat. Drip irrigation beneath a deep oak leaf mulch, early morning and evening shading from oak trees, native wood ash and crushed oyster shell amendments, and strategic companion planting are some of these methods. However, the key factor in our ability to produce such sweet, flavorful, and prolific tomatoes in this intense heat is the health of our soil. This factor is more important than all the other techniques combined. There is no shortcut to developing this kind of soil health, and there is no possible way to duplicate it with chemicals. Each successive year that we employ our heritage farming methods, we increase the health and vitality of our plants, animals, and environment. And with each new garden cycle, the taste of our produce improves. The taste of our food is very unique—it is the flavor of our farm, a distilled taste of Rockport. Click on the photo above for a better view of our tomato garden. We plant one row of tomatoes on a fence trellis, then two rows of eggplant, then another row of trellised tomatoes, and repeat. 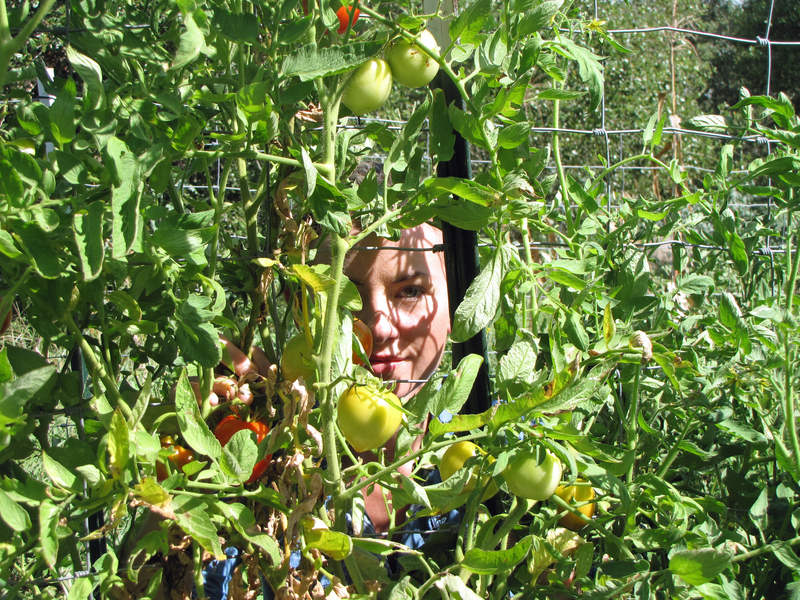 The tomato vines grow extremely tall and dense, and having eggplant on either side allows easier harvest. We have just finished harvesting all the collards, cabbage, chard, lettuces, radishes, carrots, beets, and turnips that grew on that space as companions to our tomatoes and eggplant. You can see many green tomatoes still on the vine, so we expect to offer tomatoes through the middle of August or longer. Stop by Kimmi’s store to get yours. Thank you for shopping locally!